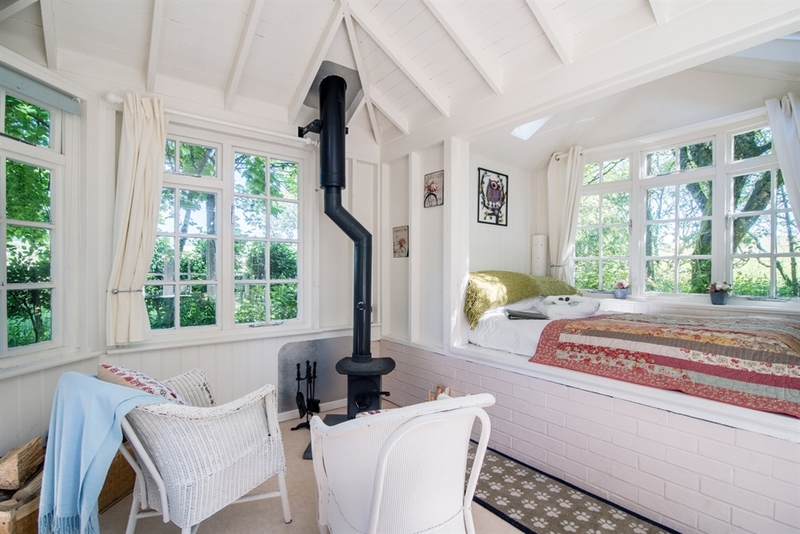 The Summer Howf is a delightfully renovated Summer House complete with its own electricity. 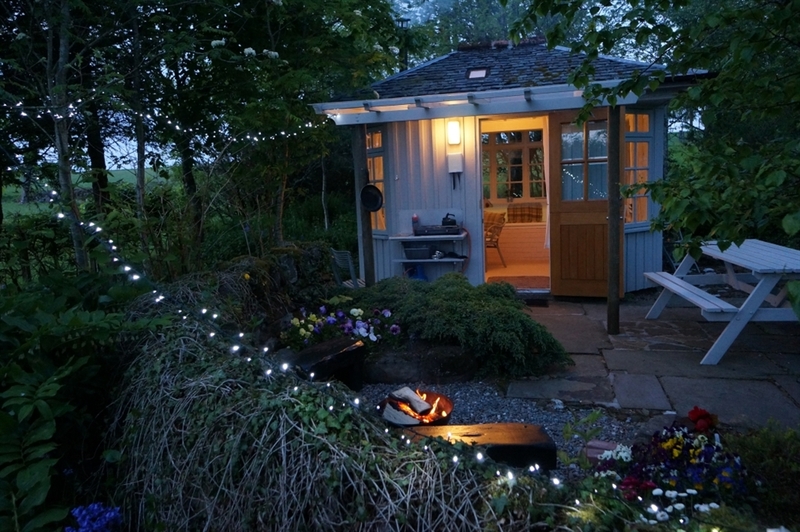 It is furnished to give you a feel of camping but most definitely in a garden style. 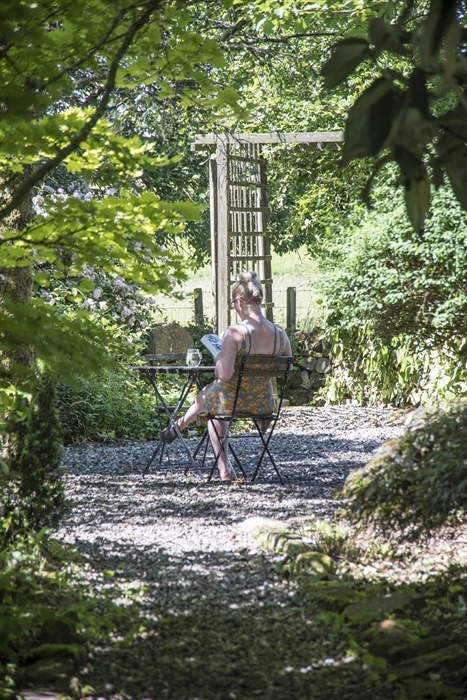 The Summer Howf is totally secluded amongst the trees at the very top of the garden alongside the duck pond with the ducks as your neighbours. Walk over the bridge to see the Rhea and Turkey’s. Large plants and shrubs edge the burn as it wanders down the garden. 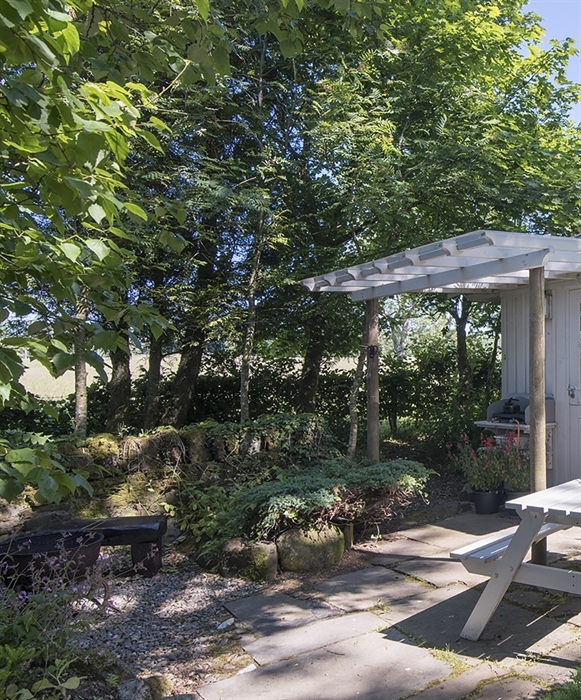 A delightful canopy covers the patio area where you will find everything you need in the camp kitchen. 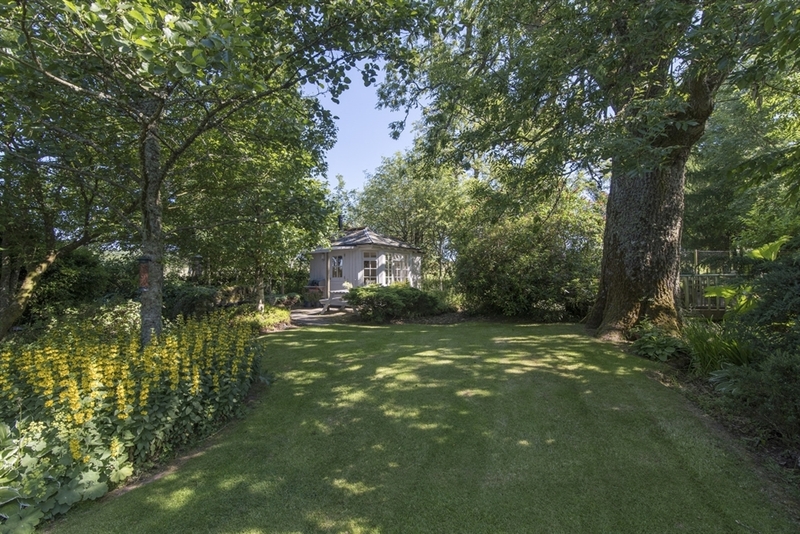 In addition a lovely gravel area is home to a fire pit/BBQ with additional seating. You will be spoilt for choice – eat at the bench, by the fire or wander behind the Summer Howf to a small private clearing. When the sun shines take the picnic blanket and lie under the amazing Ash tree only disturbed by the ducks and birds. 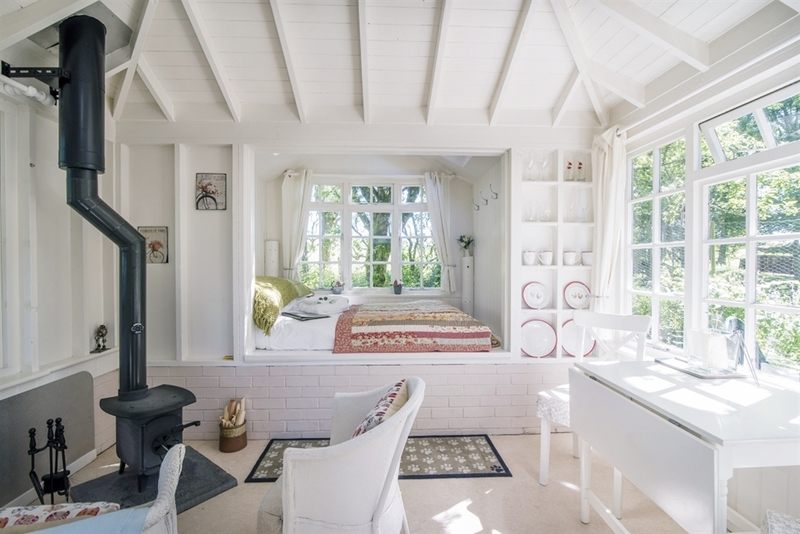 With a distinctly European feel the Summer Howf is furnished tastefully with all you will need and more – there is even a hammock in the Howf to while away the odd half hour in!